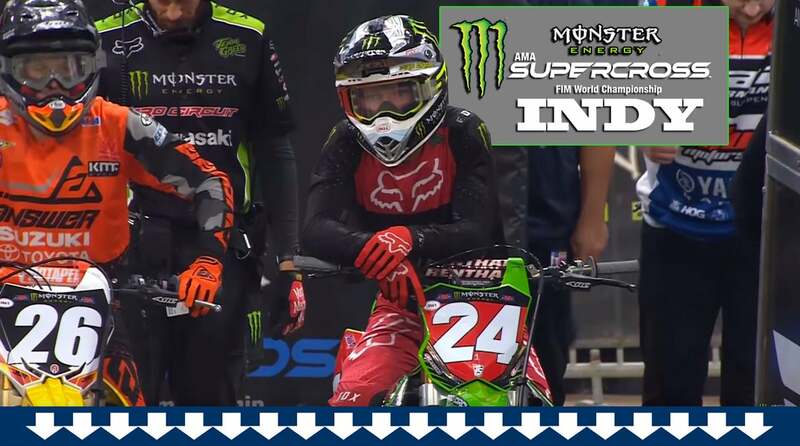 There was very little drama for Austin Forkner in the 2019 Indianapolis Supercross 250 Main Event. For him, the real challenge was getting though the heat. A first turn crash put him in back of the pack, forcing a stressful ride to a fifth-place finish. That gave him a mediocre gate pick for the main. It didn’t matter in the end. Forkner started well and dominated the main. Chase Sexton fended off challenges from Martin Davalos in the early laps, then was left in no-man’s land between Forkner and the rest of the pack. Justin Cooper finished third after a very poor start. For extensive coverage of the 2019 Indy Supercross, click here.